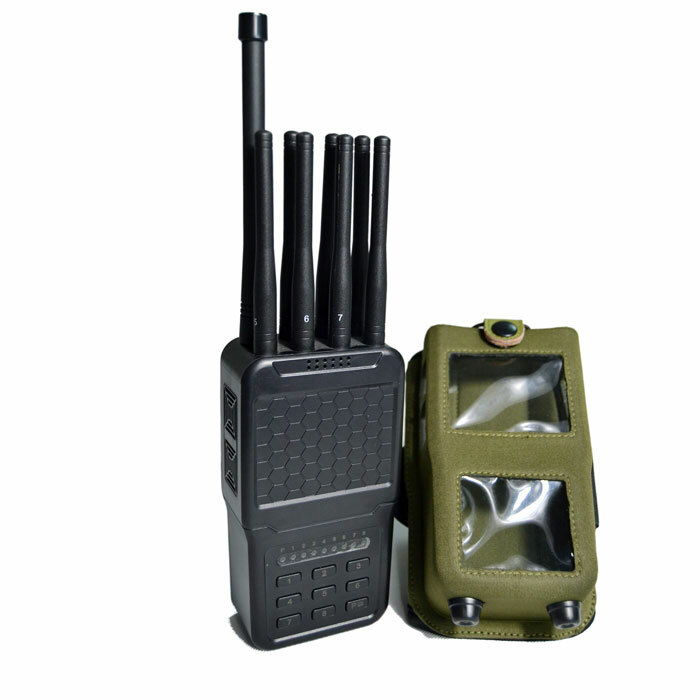 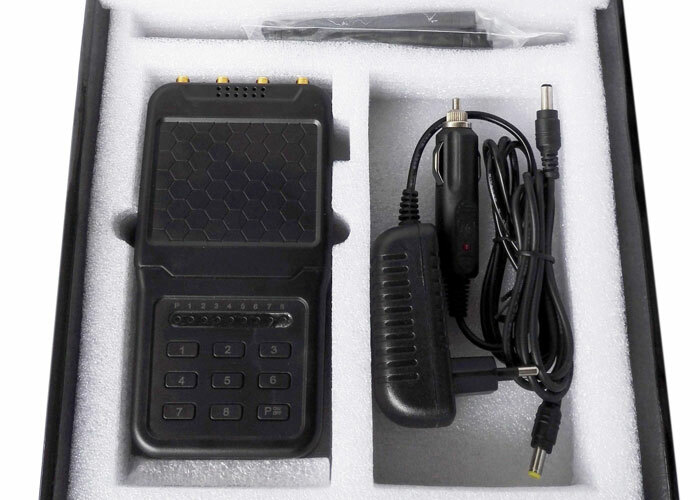 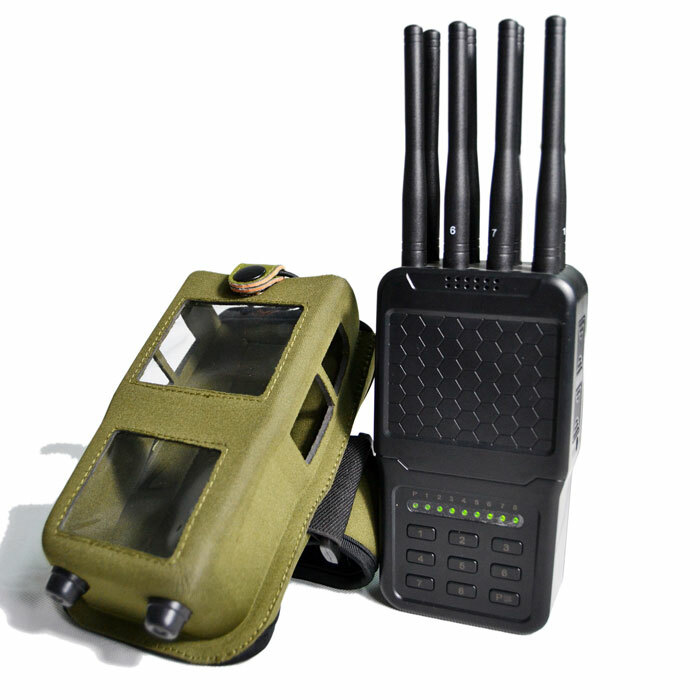 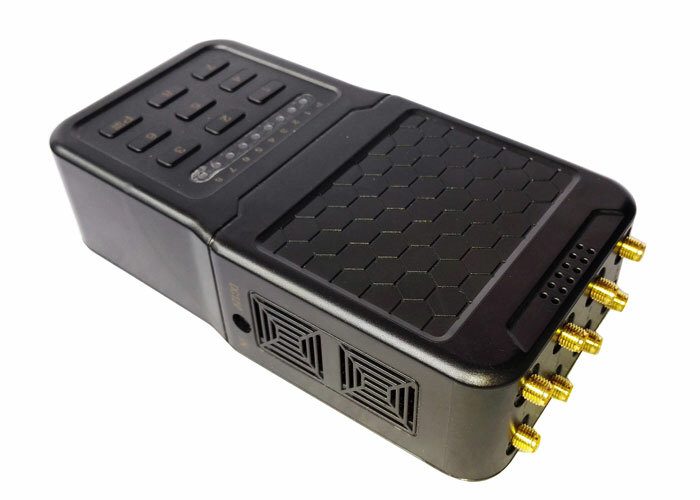 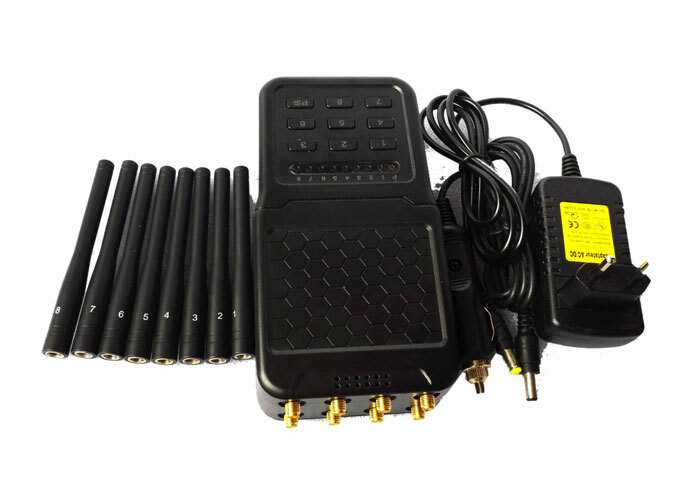 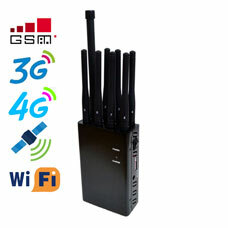 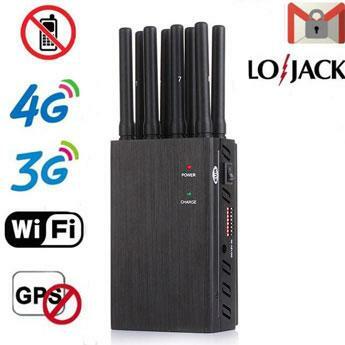 The 8 antenna handheld cell phone jammer is equipped with a nylon back cover and a built-in good cooling system for long-term use. 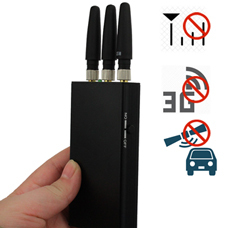 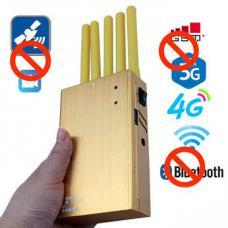 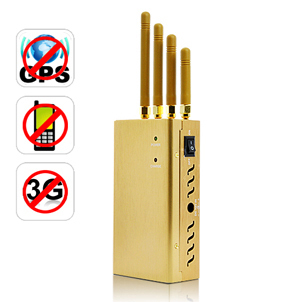 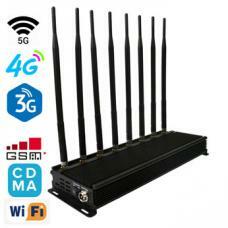 The types of signals it can interfere with include 2G, 3G, 4G, WIFI2.4G/5.8GHz, GPS and Walkie-Talkie UHF400, VHF130MHz, CDMA450. 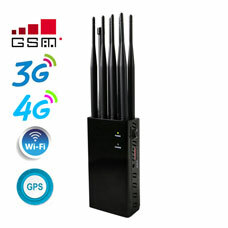 The interference radius can be up to 20 meters. 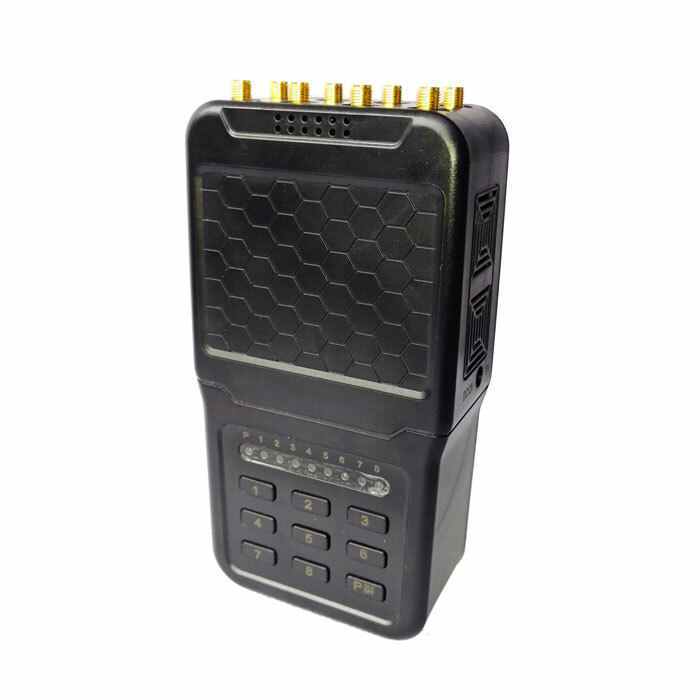 Stable performance, each band can be turned on/off with the switch individually or simultaneously, all designed to make it easier to use.